The Summer term started with the whole school sharing a feast of food. 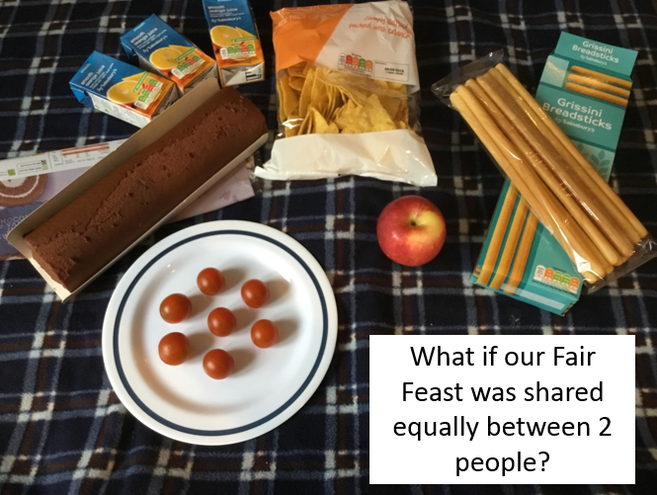 Each class was involved in coming up with their own creative Maths problems for how they might share a feast of food. There were some really clever questions that got the children thinking about what they know about fractions. For example, some children were interested in sharing 7 tomatoes with 11 people and what would happen to a cake which was cut into thirds but needed to be shared between 4 people. The children were all very good at knowing when it was equal sharing! It was great to share this learning with parents at the end of the week.